Ever since its accidental discovery in 1964, the Cosmic Microwave Background, or the CMB for short, is touted to be the holy grail of modern cosmology. In the simplest of terms, CMB is a snapshot of the universe in its infancy. It tells us what the universe looked like three hundred thousand years after the big bang, and since we understand how the universe evolves (or is supposed to evolve) it gives us testable predictions regarding the structure of the universe we observe today. It has become an incredible resource to verify our cosmological models at scales varying from the incredibly tiny to the mind-bogglingly large. The magnitude of information which can be gleaned from a map which quite literally looks like a painting accident involving a horde of unruly pigeons is astounding. But before we get into that, what exactly is the CMB? Where does it come from? Before everything else, there was the Big Bang which ended up creating a universe populated with a more-or-less homogeneous hot particle soup. (If only it had remained that way). The fact that these particles hadn’t yet coalesced into atoms meant that they interacted strongly with radiation (or light). Imagine a photon moving in this mess of charged particles. It would deflect quite often, seeing as how it would be surrounded by electrons or protons. In science-speak, one would say that the free-streaming length of the photon would be very small. And since the photon can’t travel long distances without being scattered, the universe would be opaque. As time passes and the universe expands, its temperature drops. With this cooling, at some point the formation of atoms becomes favorable and instead of charged particles joy-riding around the universe, we suddenly have electrically neutral atoms. This means that photons are now free to travel without undergoing repeated scattering. Essentially, the universe becomes transparent and these photons form the relic radiation which we call CMB. The Cosmic part of it is this. ‘Microwave’ simply means that we observe these photons, not in the visible spectrum but, as a result of the expansion of the universe, in the microwave part of the electromagnetic spectrum. 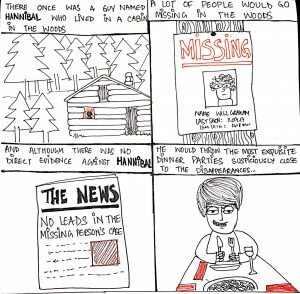 ‘Background’ is also straightforward. The CMB permeates everything. It is a constant presence in our lives much as the foreboding inevitability of death that we all grow up with. All that is well and good, but how helpful is having a picture of the baby universe? Since Cosmology is the study of the history and evolution of the universe, the answer, unsurprisingly, is pretty helpful. The CMB photons carry with them information about the early universe, for instance, its temperature. 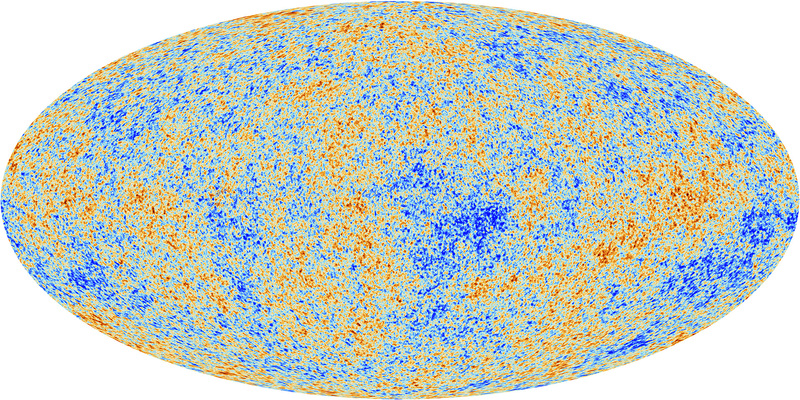 When the CMB was first discovered, it looked to be fairly homogeneous. And so, the temperature of the universe appeared to be constant. This was, and continues to be, a strong evidence in favor of the Big Bang theory which predicts this homogeneity on account of the early universe being extremely hot and dense. As measurements improved, it was found that there are “fluctuations” in the CMB spectrum. These fluctuations are tiny (Order 10^-5 K), but instead of being something that can be glossed over, they form the basis of all precision studies and tests undertaken in cosmology today. 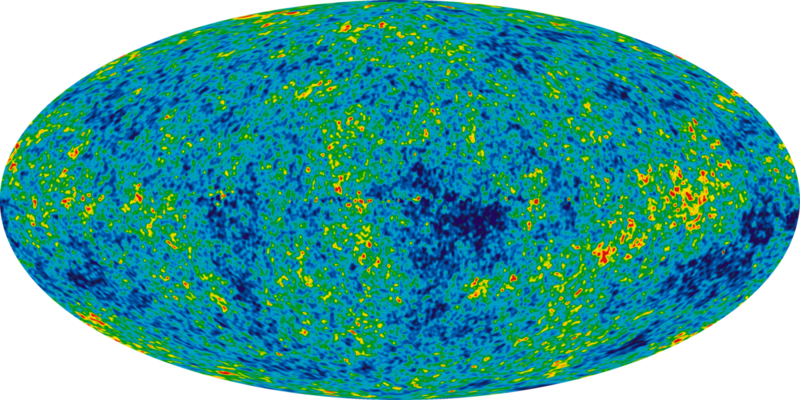 Called CMB anisotropies, these correspond to the different colored regions seen in the CMB map. Some parts of the early universe were slightly hotter and some parts were slightly colder. The fact that these anisotropies exist and are not entirely uncorrelated with each other provides deep insights into the content and structure of our universe. For a taste of how all of this works, a simple example is to study how fluctuations in the CMB give rise to the galaxies and galaxy clusters we see today. In essence, can we predict the location of galaxies or galaxy clusters in our mostly empty universe today starting from a map of the temperature fluctuations which existed billions of years ago? The answer is yes. You see, fluctuations in temperature can be mapped onto fluctuations in the density of the universe. The temperature of a photon can tell us whether it came from a region packed with particles (over-dense) or one which was fairly empty (under-dense). An overdensity in the universe implies a gravitational potential well. More particles mean a stronger gravitational force. The photons escaping from such regions would have to expend energy in order to ‘climb out’ of the potential well. By the time they make it out, they have significantly less energy than what they started out with and hence are colder. In the opposite scenario, underdensities would mean weaker potential wells. The energy lost by the photons would be smaller and so they would be hotter. In short, the blue spots on the CMB map correspond to regions of over-density and the red spots correspond to regions of under-density. But what do these density fluctuations imply for the future of our universe? Simple. They act as seeds. 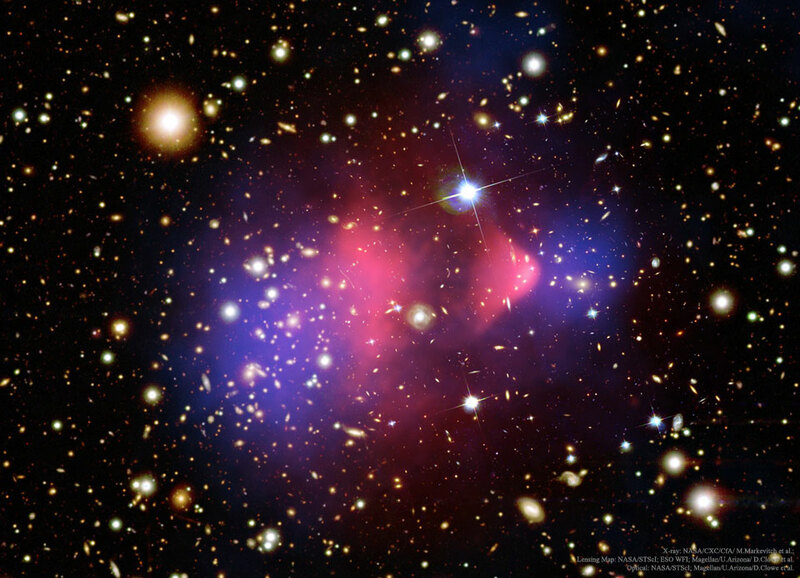 Overdensities and the resulting gravitational potential well will promote the clustering of matter, eventually leading to the formation of stars, galaxies, galaxy clusters and so forth. So, studying CMB anisotropies gives us direct predictions of the structure of the universe today! This is only one of the many cool things we can do with the CMB. Some sixty-odd years after its discovery, the Cosmic Microwave Background continues to be a rich resource for theorists and experimentalists alike. It has become a touchstone for cosmological models and is responsible for shaping our understanding of the universe. And now you know why.